As January’s UK consumer price index proved weaker than forecast this offered a boost to the Euro to Pound Sterling (EUR/GBP) exchange rate. While forecasts had pointed towards the headline inflation rate easing from 2.1% to 2.0% the index ultimately clocked in at just 1.8%. This takes inflation back below the Bank of England’s (BoE) 2% target rate, further reducing the likelihood of interest rates rising in the near future. While lower levels of inflation offer support to household finances this was not enough to shore up Pound Sterling (GBP) at this juncture. With confidence in the economic outlook already limited thanks to Brexit-based uncertainty support for GBP exchange rates remained generally muted. Speculation over a potential extension to the March deadline failed to encourage demand for the Pound, meanwhile, as the two sides still appear no closer to achieving a final deal. 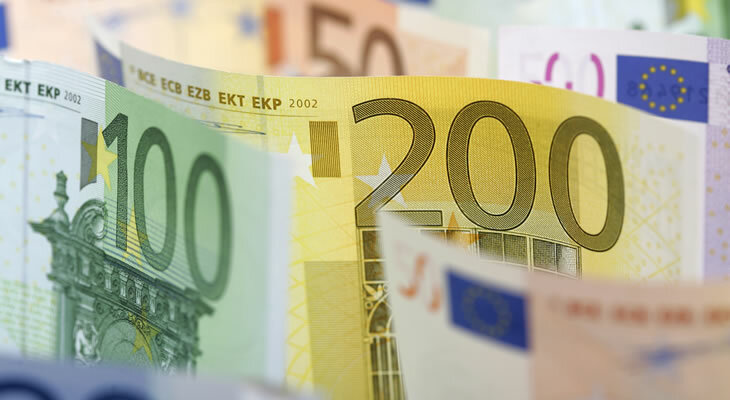 The mood towards the Euro (EUR) could sour on Thursday if the fourth quarter German gross domestic product weakens as forecast. Investors anticipate a further loss of momentum for the Eurozone’s powerhouse economy, with the annual GDP expected to ease from 1.1% to 0.8%. This would stoke fresh worries over the outlook of the Eurozone as a whole, leaving EUR exchange rates on a weaker footing. The Euro could see a significant slump if the quarterly growth rate falls short of forecast, meanwhile. If the German economy contracts for a second consecutive quarter this would signal a state of recession, raising fresh concerns over the economic outlook. Unless Germany shows signs of shaking off global trade jitters and deteriorating confidence the EUR/GBP exchange rate looks set to come under renewed pressure. Demand for the Pound may recover ahead of the weekend, though, if January’s UK retail sales data proves positive. After sales excluding auto fuel slumped sharply in December investors are looking for a solid rebound in spending on the month. Evidence that UK consumers are shrugging off the increasing air of Brexit-based uncertainty could give GBP exchange rates a boost. However, another month of falling sales would add to wider concerns over the outlook of the UK economy as the Brexit deadline approaches. As long as markets continue to lack clarity over the future relationship between the UK and EU the appeal of the Pound is unlikely to see any material improvement. Until the Irish border issues sees a resolution this should serve to limit the losses of the EUR/GBP exchange rate.